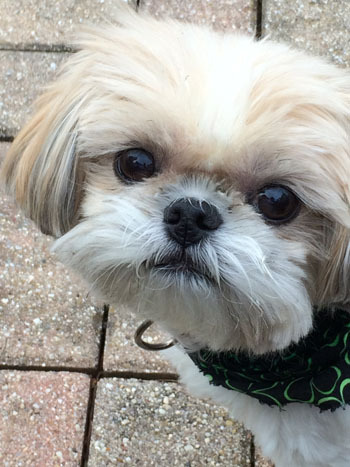 Downers Grove Animal Hospital services provides comprehensive care for your pet(s). 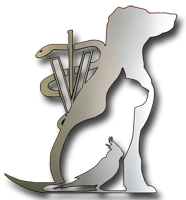 We offer veterinary services, boarding, grooming, and dog obedience training. We encourage you to read our pet owners reviews and see what they have to say about our animal hospital and staff. Routine preventive care – Annual or bi-annual wellness exams allow us the opportunity to prevent many problems. When an illness does develop, we can usually treat more successfully if we can identify it before your pet shows symptoms at home. In-patient and out-patient services – In addition to the outpatient clinic, our highly trained hospital staff can provide the care necessary to help nurse your pet back to health. Pulse oximetry – Allows us to monitor oxygenation throughout the procedure. Doppler blood pressure sensor – Allows us to monitor and adjust the anesthetic protocol to maintain blood pressure and tissue perfusion. Pre-operative lab work – Allows us to identify pre-existing conditions before they can cause anesthetic emergencies. ECG – Monitoring the electrocardiogram allows us to monitor cardiac function. In house lab – Affords us the opportunity to identify many conditions without delay. ECG – For cardiac arrhythmia identification. Ultrasound – Advanced training in this area allows us to identify and monitor many diseases of the abdominal organs. Digital Radiology – Upgrading to digital radiography ensures the highest quality image attainable. Tonometry – Allows us to screen for and diagnose glaucoma and other ocular diseases. Video otoscope – allows us to see deep into the ear canal. Doppler blood pressure – A variety of chronic illnesses cause elevated blood pressure that can be difficult to monitor without the correct equipment. Dental Care – Digital dental radiography is essential to identify and properly treat periodontal disease which is the most common disease seen in our pets. Exotic Pet Care – Staff veterinarians have taken a special interest and pursued advanced training in the diagnosis and treatment of exotic pets. Here at Downers Grove Animal Hospital & Bird Clinic, we offer the highest quality boarding and grooming facilities. Our professionally trained staff provides tender, loving care for your dog, cat, bird, or pocket pet. All boarders are kept in a completely controlled environment and all rooms are heated and air-conditioned. In addition, your pet will be protected against infectious diseases by our compulsory vaccination policy and will be monitored by our staff veterinarians. Your pet will be fed a premium, commercial diet and will be exercised in outdoor, covered runs. Dogs are exercised three times daily and your pet’s indoor quarters will be scientifically sanitized by our professional staff. Much like a hotel, we charge for the day a pet enters our facility. We have an 11:00 a.m. check-out time. Pets discharged after the 11:00 a.m. check-out time are charged for that day unless bathed or groomed that day. We would like to send your pet home with you clean and fresh. We offer a bath at a discounted rate for boarders. If the bath is given on the check-out day, there will not be a boarding charge for that day. If the bath is given on a day other than the check-out day, there will be a charge for the bath and that same day of boarding. Baths are available every day of the week. We have blankets and towels available for use by your pet. If we keep one of your blankets or towels, it may be misplaced in the laundry, so it must have your name written on it with an indelible pen. Toys also have the possibility of being misplaced. We provide top quality diets for our kennel friends, but we encourage you to bring our own food. If you choose to supply your own food, please bring only enough for your pet’s stay. Call us today at (630) 968-2812 to reserve a space! All ages and breeds are welcome. Compassionate care is taken with all animals, especially the aged or sick. And, knowing that veterinarians are available to care for your pet allows peace of mind. In addition, sedation is available if necessary. With our early morning drop-off service, you can drop off on your way to work, your pet can stay with us all day and you can pick them up when you get off of work. We do not use heat implemented cage dryers and pets are never caged together. All pets in our facility are fully vaccinated and parasite tested. Our shampoos are hypoallergenic, natural, biodegradable and cruelty-free. Call us today at (630) 968-2812 to join a class!